BEIJING (Sputnik) - Beijing is concerned over the United States' recent decisions regarding its contacts and partnership with Taiwan, Chinese Foreign Minister Wang Yi said at his Thursday meeting with US State Secretary Mike Pompeo. Cambridge Analytica & Facebook, CAATSA vs S-400s, Balkan "Rebalancing"
The Guardian’s latest exposé alleges that Cambridge Analytica’s use of social media data was the secret behind the Brexit and Trump campaigns’ electoral successes in 2016. 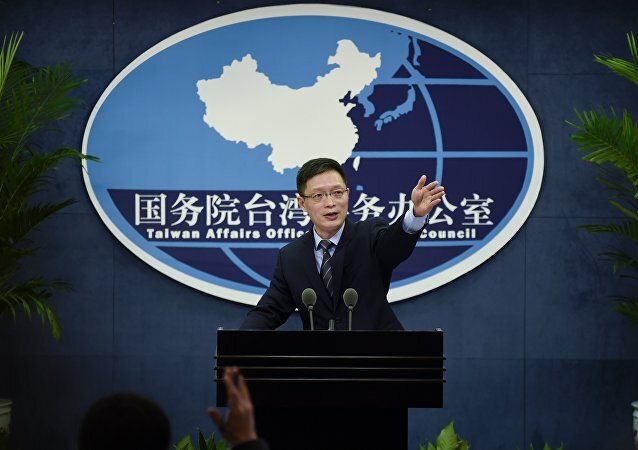 BEIJING (Sputnik) – A spokesperson for the Taiwan Affairs Office of the Chinese State Council has warned Taiwan that if Taipei continued relying on foreign support, it might face undesirable consequences after US congressmen passed a bill encouraging bilateral visits by US and Taiwan officials.